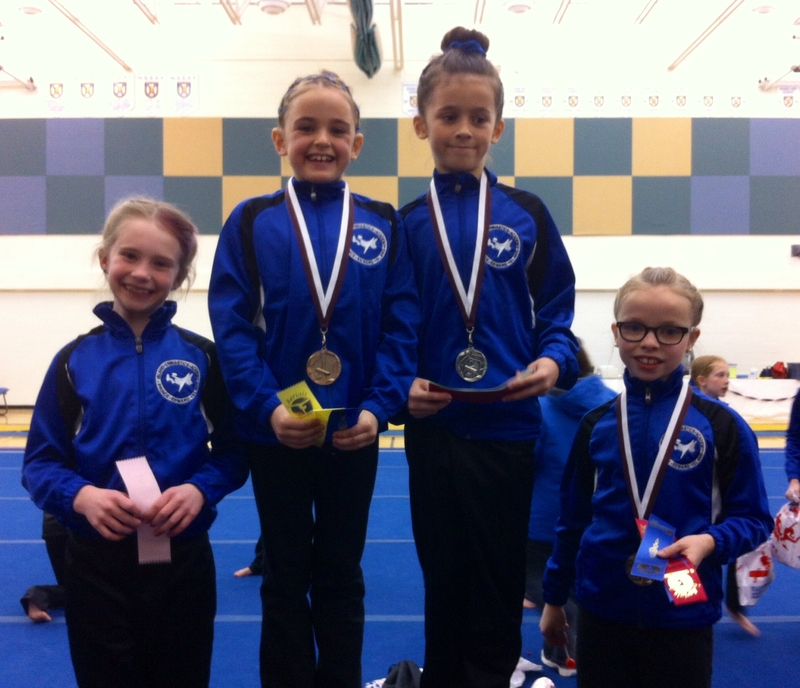 The Island Gymnastics Academy girl’s competitive team recently competed at the March Break Invitational (March 14) in Amherst, Nova Scotia bringing home plenty of medals and some of their highest scores of the year. In the Tyro 6 girls division, Brenna Ing led the team with a gold medal in the all-around, following a fourth place on beam and top spot on bars. Grace Potter was fourth overall and placed second on bars and third on floor. The Argo 4 girls also had successful competition. Lilly Chappell and Chloe Arsenault took the silver and bronze all-around medals. Chappell placed on all four apparatus and took first place on vault. Arsenault was second on beam, and fourth on both vault and bars. Teammate Regan Herlihy placed sixth on vault. In Argo 5, Charlotte Thompson took the silver medal in the all-around after winning both vault and beam. Tanisha Tawil took second place overall in Novice 6 after placing on all four apparatus and winning vault. Emily Doucette was the silver medalist in Open 8 and took top spot on bars.